As the Emmys wrapped up on Sunday night, doling out the awards for best actor and best actress in a drama series, there was a noticeable difference in how the Television Academy presented the nominees for each of those categories. When it came to the actors, viewers got a taste of the actual performances they had given before Rami Malek accepted the trophy for his brilliant turn in Mr. Robot. The women nominated for best actress were not given the same treatment. Taraji P. Henson (Empire), Keri Russell (The Americans), Viola Davis (How to Get Away With Murder), Claire Danes (Homeland), Robin Wright (House of Cards) and winner Tatiana Maslany (Orphan Black) didn't get the same few seconds of showtime. While it would be easy to say the ceremony was running long and it was probably cut for time, the juxtaposition was jarring. All of which is to say that Netflix's 60-second Emmys spot, narrated by Emmy-nominated Wright, was perfectly timed (again, A+ work by the media team), championing the streaming platform's myriad of women characters—the complicated, powerful, sometimes odd, sometimes goofball, but altogether in-charge women. "She Rules" isn't a perfect spot. 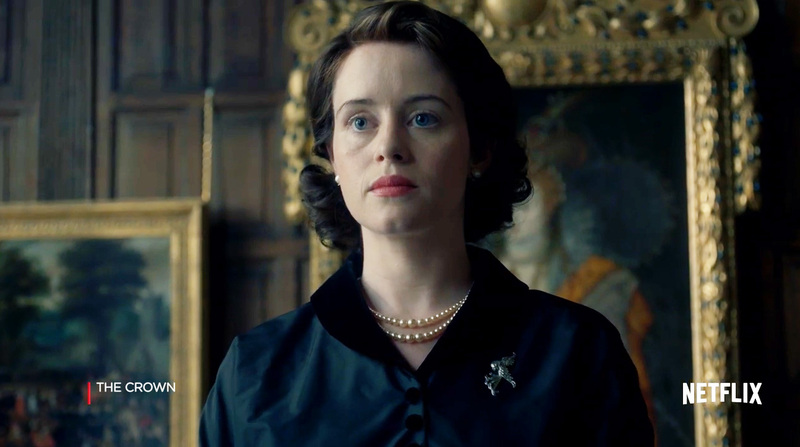 At first it seems like it will focus solely on Netflix's upcoming series about Queen Elizabeth, The Crown, instead of showing others like Taystee from Orange Is the New Black, Eleven in Stranger Things, and even a peep of Loralie and Rory from the upcoming Gilmore Girls reboot. But it does exactly what the Emmys had just opted to ignore—show viewers snippets of strong performances by actresses.